Worthington Chrysler Dodge Jeep Ram in Graham, Texas is excited to show off our fleet of lease-ready Dodge vehicles. From SUVs to commuter friendly options, a Dodge lease is among the easiest ways to find yourself in the driver's seat of your dream car. In need or lower payments? Looking for a new model each year? Come by Worthington Chrysler Dodge Jeep Ram today to speak with our sales team to learn how a lease can give you that and more. We look forward to getting you behind the wheel of a Dodge vehicle soon! Within the Dodge family comes a wide range of vehicles that appeal to all sorts of driver types. Better yet, they're all available right here at Worthington Chrysler Dodge Jeep Ram in Graham, TX. Try out the iconic Dodge Grand Caravan minivan for a roomy, sophistication and totally capable vehicle ready to take you to and from your children's soccer practice and beyond. The Dodge Charger offers flash and power for drivers hoping to turn heads on their morning commute. Finally, there's the Dodge Journey, a versatile SUV built for your next weekend getaway. 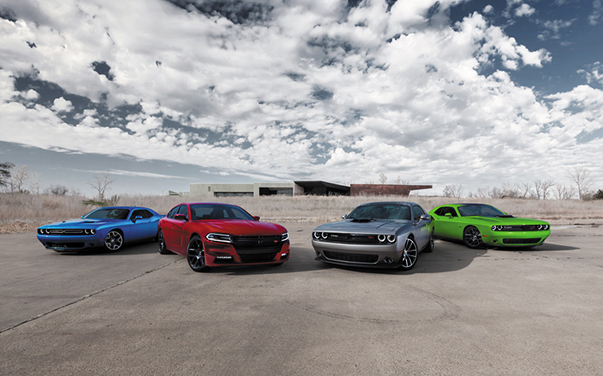 See each vehicle in person and hop in for a test drive today at our Graham, TX Dodge dealership. With help from our Dodge financing center at Worthington Chrysler Dodge Jeep Ram in Graham, TX, you can rest assured you know the ins and outs of leasing a Dodge vehicle before you sign the dotted line. Come by today to meet our seasoned finance team and see how we can work with your credit history to lock in a low-rate auto loan. We'll work with your trade-ins too, accurately assessing whatever you bring in. Learn more and start the conversation about Dodge leases today at Worthington Chrysler Dodge Jeep Ram!